Australian retailer Wesfarmers is likely to say in its upcoming earnings report that annual sales are higher than ever before, as shoppers flocked to its stores regardless of entrant Amazon.com ramping up its online assault. But record sales at Wesfarmers - the retailer perhaps most exposed to competition from Amazon - have come at a hefty price: steep discounting to keep shoppers from switching allegiance is expected to have squeezed margins for the year ended 30 June. Analysts expect Wesfarmers this week to report a 1.75 per cent rise in annual revenue at $70 billion, but a seven per cent decline in net profit excluding one-off items at $2.7 billion, according to Reuters. 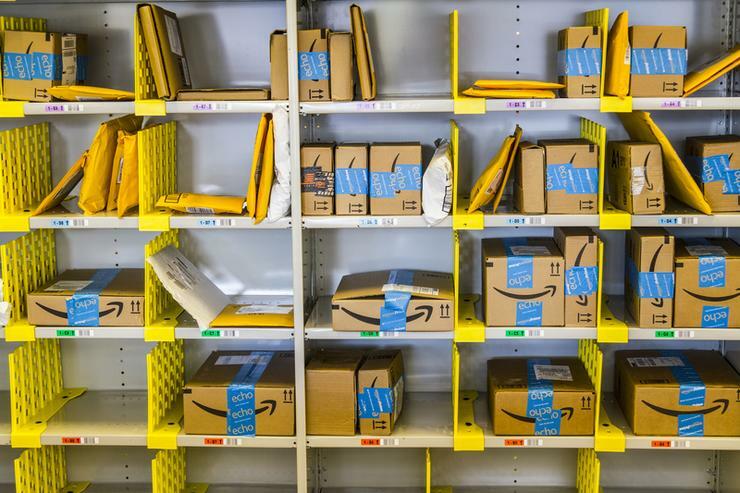 Amazon and its sellers generally manage to keep prices low, which has forced most traditional retailers to offer competitive prices online, said Akshay Chopra, a portfolio manager at Karara Capital, which holds shares in Australian retailers. "That pressure's an ongoing trend, especially as Amazon continues to improve," he said, adding the market would be watching whether price competition is "a race to the bottom". The U.S. behemoth, currently the world's second-largest company after Apple, has not had the smoothest market entrance since it opened shop in December, but its mere presence has made retailers step up discounts, analysts said. Retail prices fell 0.1 per cent in April-June, the Australian Bureau of Statistics said last week, even as retail sales jumped 1.2 per cent, adjusted for inflation - the most in a year. To be sure, some of the discounting is also an attempt to keep shoppers interested at a time when a slowdown in the housing market and soft wage growth is dragging on discretionary spending. Wesfarmers is scheduled to report earnings on 15 August, and is widely expected to include the one-time cost of a failed attempt to expand its home improvement business in Britain. The firm is not likely to be the only retailer to report a decline in annual profit over the next two weeks, but it is the most exposed to Amazon through its discount department stores Kmart and Target, stationery vendor Officeworks and hardware chain Bunnings - all selling types of goods available on Amazon. Wesfarmers traditionally earned most of its profit from low-growth grocery store chain Coles, which it plans to spin off this year. Amazon does not yet sell food products in Australia, so its impact on grocery businesses, such as Coles or rival Woolworths Group, is likely to be limited. Analysts expect profit to halve at mid-market department store Myer Holdings and drop 18 per cent at electronics retailer Harvey Norman, which has only recently begun online sales. "At this stage, Amazon's had zero effect on Harvey Norman," executive chairman Gerry Harvey told Reuters, declining to comment on profit ahead of announcing earnings. In contrast, analysts expect smaller rival JB Hi-Fi to report an 11 per cent jump in profit, mainly because the retailer was quick to go online and has long absorbed related set-up costs. Wesfarmers and Myer declined to comment. JB Hi-Fi and Amazon were not available for comment. Woolworths did not respond to a request for comment. Amazon has had a shaky start in the world's fourteenth-largest economy, having blocked Australian shoppers from making orders on its foreign websites in response to a tax law introduced last month. Before that, the company's Australian website turned over $6.3 million in direct sales in the Christmas trading weeks, corporate filings showed, versus total local retail sales of $26.3 billion in December. Though the figure was lower than expected, analysts said it was too early to bear any significance. Morgan Stanley said Amazon had a 6.9 per cent share of Australian online spending at the end of June, and that it would reach 16 per cent by 2022. Last year, the U.S. firm's Australian entrance spooked markets and drove a sell off in brick-and-mortar retail stocks. Investors will now be watching how retailers fared in the first full six-month period competing with Amazon. For now, however, Amazon's impact on Australian retail sales will be limited, said Morningstar analyst Johannes Faul. "There'll be increased spending, though, on online platforms and on increasing that online offering to consumers in terms of delivery speed, delivery options and delivery costs." Online spending accounts for less than a tenth of Australia's $230 billion-a-year retail sector.